Airy romance and earthy realism make an uneasy combination. This couple may find it challenging to be together, but they have the potential to be utterly devoted to the relationship and each other. Venus in Libra is the Accomplished Flirt who yearns for a committed partner. Once she’s in a relationship, her lover had better provide flowers, champagne and thoughtful gifts to express his appreciation. She can be superficial, but underneath the gloss is a lady who was born to be someone’s better half. She instinctively relates to her lover; if he’s happy, she’s happy. Taken to the extreme, Venus in Libra can lose sight of her identity as she becomes a reflection of what her partner desires. Mars in Virgo is the Accomplished Worker. His obsessive desire for perfection is driven by the fear that he will never be quite good enough. Socially tentative, he is likely to observe the object of his affection from the sidelines. He is very selective about whom he partners with. Once involved, his perfectionist tendencies will emerge in the bedroom. He can be the most technically accomplished lover, but may have difficulties unwinding and staying in the moment. Venus in Libra is likely to make the first move here, at least indirectly. She’ll use her social charms to put Mr. Virgo at ease until it’s a no-brainer for him to make the “apparent” first move. Ms. Libra abhors coarseness, so she’ll find Virgo’s natural refinement very appealing. Mars in Virgo may wonder what he ever did to attract the attention of this social sparkler. 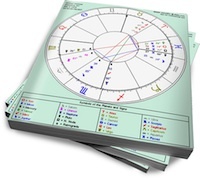 Difficulties will arise when Libra expects romance and Mars in Virgo responds with practicality. He won’t see the point of buying her flowers, because they’ll be dead in a few days anyway. Venus in Libra will grow resentful, but won’t articulate her needs. Virgo’s nervous tension will not be helped by Libra’s constant hints that he is letting her down. If they are to function as a couple, these two need to use their mutual talents for service while respecting each other’s differences. Venus in Libra can take care of the fun aspects of the relationship, helping Virgo lighten up and balancing out his workaholic tendencies. Mars in Virgo can handle the practical aspects, grounding Libra when she starts to get caught up in the idea of the perfect relationship. They can create an atmosphere where nothing is taken for granted as long as they understand that they each speak a slightly different language.